Several years ago my sister and I stood in our parents’ kitchen, eyes locked in serious debate. We were debating the real presence of Jesus in the Eucharist. At the time, I was a cradle Catholic turned skeptic. She was a campus missionary for Catholic Christian Outreach. My faith in the Eucharist and most other Catholic teachings had long since turned to skepticism—and the “real presence” was at the top of the list. First, it seemed obvious that the consecration effected no change to the bread and wine—the bread remained as bread, and the wine remained as wine. There was clearly no physical change which left me unconvinced. Second, the idea of actually consuming the flesh and blood of Jesus bodily seemed to me a strange religious form of cannibalism. My sister listened patiently to my objections and skeptical musings, and when she spoke her intense faith in the Real Presence shone through. This was the first time I had ever heard of the Sacrament of the Eucharist as the “source and summit of the Christian life” (CCC 1324); and although I didn’t exactly know what that meant, I knew she was deeply convinced—and although I wouldn’t show it or admit, her conviction affected me tremendously. As we closed our kitchen debate that day she made a suggestion that would fatefully trigger a new direction in my religious considerations. She appealed to the miraculous—and suggested that I investigate the “Miracle of Lanciano.” So I did. The powerful impact of my ensuing discovery was the first of many critical steps that led me back to the Church of Rome (and one of many discoveries that have kept me there). The miraculous host today at the Church of St. Francis at Lanciano. In the eighth century, a Basilian monk, who had doubts about the real presence of Christ in the Eucharist (Holy Communion) was offering Mass in the Italian town of Lanciano. During the Mass, when he pronounced the words of consecration, the host was miraculously changed into actual human flesh while the wine was changed into real human blood. The blood later coagulated, while the flesh remained as it was. Neither decomposed. The miracle has since underwent rigorous scientific analysis at the request of the Vatican (who always acts with a high degree of prudence in the investigation of alleged miracles before declaring them as authentic). Dr. Edoardo Linoli, a professor of anatomy and pathological histology, of chemistry and clinical microscopy, and former head of the Laboratory of Pathological Anatomy at the Hospital of Arezzo, is the principle investigator of the miracle of Lanciano. 1. The “miraculous Flesh” is authentic flesh consisting of muscular striated tissue of the myocardium. 2. The “miraculous Blood” is truly blood. The chromatographic analysis indicated this with absolute and indisputable certainty. 3. The immunological study shows with certitude that the flesh and the blood are human, and the immuno – hematological test allows us to affirm with complete objectivity and certitude that both belong to the same blood type AB – the same blood type as that of the man of the Shroud and the type most characteristic of Middle Eastern populations. 4. The proteins contained in the blood have the normal distribution, in the identical percentage as that of the serous-proteic chart for normal fresh blood. 5. No histological dissection has revealed any trace of salt infiltrations or preservative substances used in antiquity for the purpose of embalming. Professor Linoli also discarded the hypothesis of a hoax carried out in past centuries. Belief in the real presence of Christ in the Eucharist goes back to the earliest Christians. St. Paul, Ignatius of Antioch (a disciple of John the apostle), Justin Martyr, Irenaeus of Lyons and other early Church Fathers clearly testify to it. But today’s reality is that many Christians (including some Catholics) struggle with the dogma of the real presence of Jesus in the Sacrament of the Eucharist, “where the feeble senses fail.” But from time to time, God in His infinite wisdom and love, acts in extraordinary ways to increase our convictions and dissolve our skepticism in the supernatural. He does this especially through miracles. For this reason, appealing to the miraculous can, in fact, be a very effective (but often forgotten) method of evangelization. Supernatural events, like Marian apparitions, dancing suns, bread-turned-flesh, healings of the terminally-ill and other signs of the divine, are great affirmations of the truth of Christianity. They are like little “signatures” of God spread throughout all of history. As one who had his reversion to the Church effected by the testimony of a miracle, I encourage you without hesitation: Proclaim the miracles of Christianity! For indeed the entire Gospel of Jesus Christ hinges on a miracle—the resurrection of the Son of God. The Miracle of Lanciano is just one of many authentic Eucharist miracles. 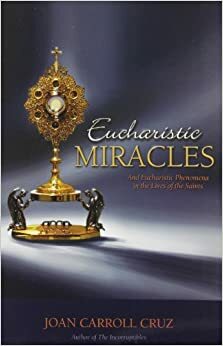 For more, I recommend reading Joan Carroll Cruz’s Eucharistic Miracles. I am a non-Roman Catholic follower of Jesus. Someone had posted this article on Facebook and I read it with interest. It is a subject matter that I have given careful consideration. Although I have reached my conclusions on the topic, I am always interested in what others believe. I certainly respect the opinions and thoughts of those with whom I disagree on the topic. That being said I was fairly amazed with the thought process behind the issue in this article. It seems the author was struggling to know whether the elements of the Eucharist became the real presence of Christ or if they simply represented them. What struck me was that this article appeared on a website called, “Reasonable Catholic.” I didn’t investigate the complete website but I had the sense that it was an apologetic-styled web site; one that appealed to the intellect with reasonable responses to challenges. This was odd because this article had nothing to do with any “reasonable” process. Rather, the author was first impressed with his sister’s conviction and then he decided that a reported miracle had only one conclusion. The problems are obvious to the critical thinker. First, a person’s conviction might be admirable. But, a person might be wrongly convicted. For example, most ISIS fighter are likely deeply convicted in their faith. Does that make it right? Of course not. Conviction does not mean truth. We would be wrong to assume something is true by looking at another person’s deep conviction. Secondly, for the sake of argument, let’s say that the elements in the 8th century miracle truly became flesh and blood. How would anyone know what the meaning of that miracle was? Why should it be assumed that the miracle meant the elements were the real body and blood of Christ? What if God was trying to say that they were obviously not the real presence of Christ by making them become something they were not? Someone could easily take that position, yes? And, why should we even assume that the miracle was from God? 2 Thess. 2:9 warns us that Satan can duplicate lying miracles. How do we know that this wasn’t Satan? We know that God sometimes tests our faith by allowing false prophets and miracles (Deut. 13:1-3). Perhaps this was a false miracle? The critical thinker will consider that possibility. Unless the author of the article reached his conclusions by relying on other methods (namely Biblical), then he has proven only that his faith in the real presence of Christ in Holy Communion is unreasonable. My understanding of Christian theology demands a deeper, more reasonable approach. Thanks for the quick reply. I was relieved to learn that you hadn’t reached your present conclusions on the items mentioned in the above article. I had suspected the same, but wasn’t sure. I read the article that you directed me to and you are correct; I found it much more critical in its approach and far better in presenting a reasonable case for your conclusions. For those without faith no proof is sufficient. For those with faith none is necessary. 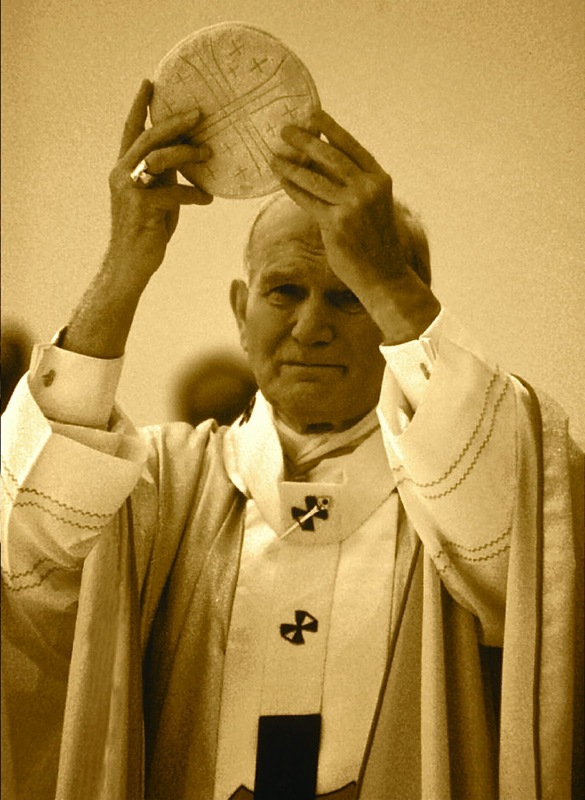 The church founded by Jesus declares the truth of the Eucharist. That’s good enough for me. Would you happen to have access to an original and legally-obtained copy of the article written by Prof. Odoardo Linoli in 1971 titled “Ricerche Istologiche, Immunologiche e Biochimiche Sulla Carne e Sul Sangue del Miracolo Eucaristico di Lanciano”? And would you also have access to his follow-up article of 1981? If so, where did you obtain it/them? Thanks for your kind attention. Hi Sam, sorry I do not.